#Sushi Loca is a stylish sushi #restaurant, located in #Las #Vegas, Nevada, with an inviting interior of deep red colors and rich hardwood. We offer a delicious variety of quality #Japanese #sushi, #sashimi, specialty rolls as well as hot, tantalizing #appetizers and #entrees. All of our sushi is made from only the highest quality fresh fish. Our skilled sushi chefs prepare traditional sushi, or unique extraordinary rolls like; the Jackpot, Oh my God, or the Happy Ending roll. If you don't see a special roll on the menu, please be sure to ask our chefs to make what you would like. Along with our sushi we proudly serve other dishes like teriyaki, udon noodles,and hibachi style meals. The restaurant has a warm inviting atmosphere with plush colors and plenty of seating. Our staff is very friendly and our experienced sushi chefs will keep you entertained. The Sushi Loca experience is one of a kind. 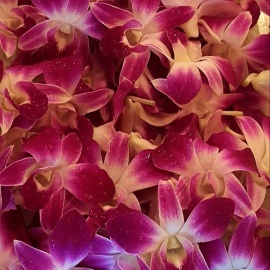 You will love our authentic Japanese cuisine, affordable prices, and you will feel comfortable in our restaurant. Sushi Loca is a perfect restaurant for a casual dinner, a night out with friends, or a quick lunch. Sushi Loca also does catering for any size event. 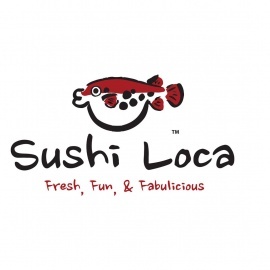 Sushi Loca is conveniently located in northwest Las Vegas in the Centennial Hills area off Ann RD & HWY 95. Whether you are looking for a quick lunch or a deliciously prepared dinner, Sushi Loca will satisfy your craving.